W&T furnishes its clients with aggressive and efficient legal advocacy from a dedicated team of trial attorneys with a proven track record of courtroom success. Featuring a keen awareness of industry trends and with attention to new developments in the law, the attorneys at W&T offer innovative strategies and client-based expertise in a broad spectrum of civil cases including workers compensation defense, insurance defense, auto and trucking liability, product liability, premises liability, construction defects, professional malpractice, insurance coverage, PIP Litigation, bad faith, family law, probate law, employment law and appeals. W&T is devoted to establishing lasting personal and professional relationships with our clients which yield success both inside and outside the courtroom. With a focus on customer service and satisfaction, Wyland & Tadros LLP employs the latest in legal and office technologies in order to deliver to its clients exceptional work product with maximum efficiency. Wyland & Tadros LLP also features attorneys who are state certified in legal instruction with experience conducting claims seminars often certified for Continuing Education Credits to insurance adjusters, risk managers, and employers on a broad array of topics. The Firm's attorneys are also available to consult with clients in-house where specifically tailored guidance is desired. Wyland & Tadros, LLP is a full service law firm. The firm provides legal services to its clients throughout the state of Florida, from Jacksonville to the Florida Keys. The law office of Wyland & Tadros, LLP will represent your family legal matters. 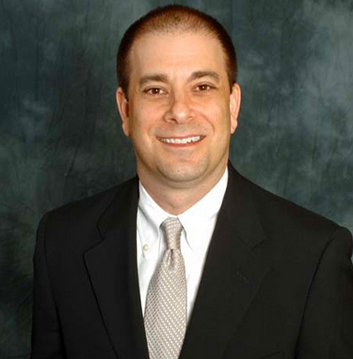 Mr. Foor is one of the Partners of Wyland & Tadros LLP. He has been in practice since 1994, and joined the Firm in 2011. Mr. Foor's practice focuses on all areas of insurance defense related litigation, including insurance coverage litigation, bad faith litigation, insurance breach of contract, commercial litigation, automobile liability defense and workers' compensation defense. Mr. Foor has been awarded a rating of AV Preeminent by Martindale-Hubbell, the highest rating established by that publication. Mr. Foor is certified by the state of Florida Department of Financial Services as an instructor, and regularly presents seminars to insurance adjusters, risk managers and employers. His instructor certifications include Law and Policy, Ethics, and Adjuster Optional topics. Specific topics Mr. Foor has presented include Liability Defense, Adjuster Ethics, Ethics in Claims Negotiations, Workers' Compensation, and Insurance Coverage. Mr. Foor is a member of the Chamber of Commerce of the Palm Beaches, and is an active attorney member of the Animal Legal Defense Fund (ALDF). Mr. Foor is admitted to practice in the Southern District of the United States District Court of Florida, the Middle District of the United States District Court of Florida, and in the United States 11th Circuit Court of Appeals. Mr. Foor is a graduate of the University of Florida (1990), and a graduate of the University of Florida Levin College of Law (1993, with Honors).